In June, WCS helped two local Elementary Schools in their efforts to host zero waste Spring Carnivals. 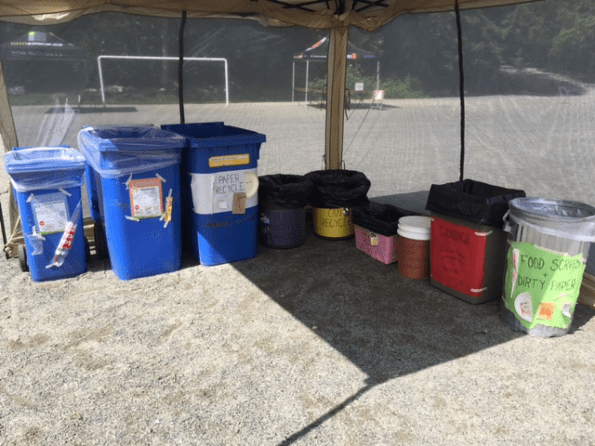 Upper Lynn and Sherwood Park Elementary Carnival organizers were committed to recycling as much as possible and thus sought out assistance from Waste Control to recover resources from soft plastic and crinkly plastic packaging. To help, WCS provided colorful signs, bins, and organized the recycling and recovery of soft plastic and crinkly plastic packaging from the carnivals. Both schools went above and beyond to be environmentally sustainable and organized extensive recycling stations for guests’ garbage. Their awesome recycling stations are featured in these photos! 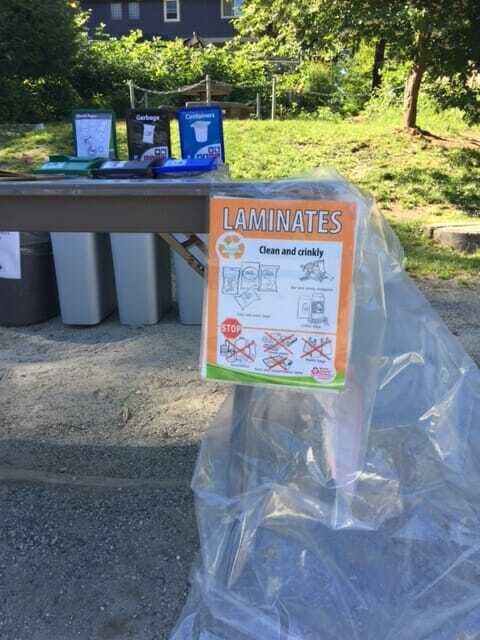 Upper Lynn Elementary was proud to report that even with a crowd of over 600 people, a BBQ and concession, their event only had about 2 garbage bags not quite full that ended up going to landfill! Sherwood Park Elementary also only had a small amount of garbage go to landfill from their event. Awesome work Sherwood Park and Upper Lynn! Thank you for taking action and spreading awareness about recycling and waste diversion! The soft plastics collected by WCS are baled and sent to downstream partners such as Westcoast Plastics. It is then made into new plastic bags! Depending on local market economics, laminates are either used as an additive in the cement manufacturing process or sent to Metro Vancouver’s Waste-to-Energy Facility and used to create electricity! I am a grandmother starting a new program in the Vancouver School Board to #RecycleCompostandGrow We are having monthly “Parasol Picnics” to eat the “fruits and vegetables” of our harvest and I would love to see if your company could sponsor one or more of these for recycling responsibly. Thank you. This sounds like a great idea to raise awareness about compost and recycling. I will email you privately to discuss further!